John Dodson has made name for himself as a mixed martial artist. He is a professional fighter whose skills has earned him a lot of titles. Dodson’s career which spans over 15 years has distinguished him as a strong MMA competitor and a prominent figure. Apart from his moves on the ring, there is a lot more to the life of this American mixed martial artist. 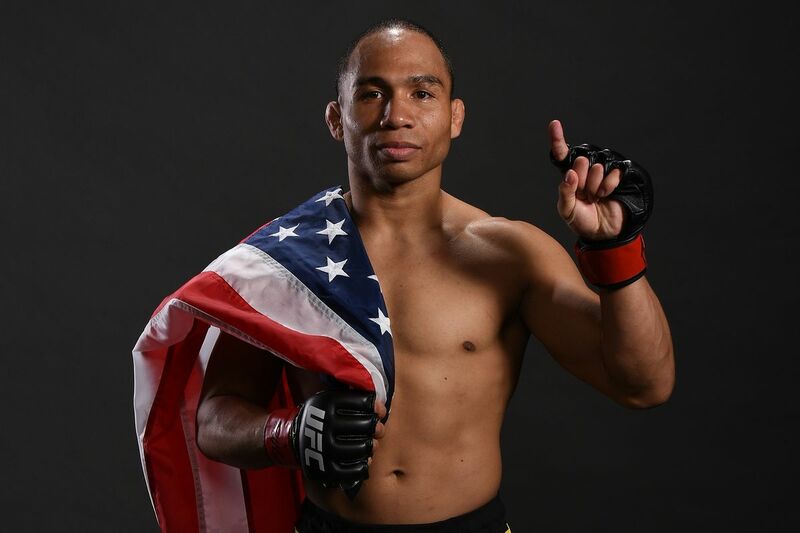 Here are lesser known facts about John Dodson. He was born on September 26, 1984, in Albuquerque, New Mexico and is of African-American and Filipino descent. John Dodson started at a young age to exhibit profound strength and tenacity. He would participate in different kinds of sports including football, track, wrestling, and others at Morarity High School where he got schooled. While in the school, he earned various championships in wrestling. He was as well a four-time district champion for his school and was equally a two-time state champion. Dodson saw that fighting was truly his forte and started to train in MMA in 2002. This was the same year he was recruited by Chris Luttrell and Greg Jackson who were mesmerized by his outstanding wrestling moves. John finished high school in 2003 and proceeded to the University of New Mexico. He had continued wth his MMA training with Jackson and got better in the sport. Dodson trained until he qualified for his first amateur fight. He did pretty well and began getting offers to fight more. He eventually accepted an offer to face Yasuhiro Urushitani, the renowned Japanese flyweight fighter. Dodson, however, lost the bout which showed he still had more work to do. Dodson tested waters at bantamweight and featherweight and made admirable records on those platforms. He then went on to fight Clint Godfrey and won via decision. He continued until 2011 when he signed with the UFC. John was billed to fight at The Ultimate Fighter: Team Bisping vs. Team Miller. He won at the first episode of the bout and was given access into the Ultimate Fighter house where he defeated Merkt in the first round. Dodson fought his way into the semi-finals where he faced off Johnny Bedford, his Team Mayhem teammate. He won the fight and moved to the finals and made name for himself. Dodson then moved to make his UFC debut in December 2011 at The Ultimate Fighter 14 Finale. He became the first Bantamweight winner of the Ultimate Fighter bout after he won T.J Dillashaw. Dodson continued to record great achievements on the prestigious platform until his contract with UFC expired. He gave audience to other offers from several companies, weighed them, before signing a new four-fight with UFC. John Dodson’s personal life is not as dramatic as his career. Nevertheless, the notable fighter never succeeds in keeping his private life away from the prying eyes of the media. Dodson has been in a relationship with Chelsea, his longtime girlfriend who has been regarded as his wife by many sources. There have been no reports of a wedding but given their longterm relationship, it is assumed that the the two are a married couple. Dodson and Chelsea have a daughter together named Delilah Skye. John Dodson has an average but strong body build that suits his career. The tactful fighter stands at a height of 5ft 3in (1.6m) which is quite proportional to his weight of 61kg (135lbs). Dodson is definitely not the tallest in the UFC, but his sturdy body build gives him a strong stamina which aids his moves in the ring. John Dodson grew up without a father. The mixed martial artist was raised alongside his brother by their mother, a single parent. This does not mean he is not a wonderful father to his child. The renowned fighter so far has recorded 20 wins in mixed martial arts, 9 of which are with a total knockout. Although he lost 9 times, Dodson is a real puma on the ring. For reaching the finals at The Ultimate Fighter: Team Bisping vs. Team Milleer, Doson received $25,000. Moreso, after emerging as the first Bantamweight winner of the competition, he bagged another $40,000. This was for winning the ‘Knockout of the Night’ honors. He enjoys eating Pancit, his favourite Filipino food.